Enhance your V-Max’s sound with REVO Dual Monster 6″ and get performance at the same time! 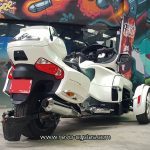 With more than 10 years exhaust design experience, REVO Monster provide not only good-looking but also high-quality. 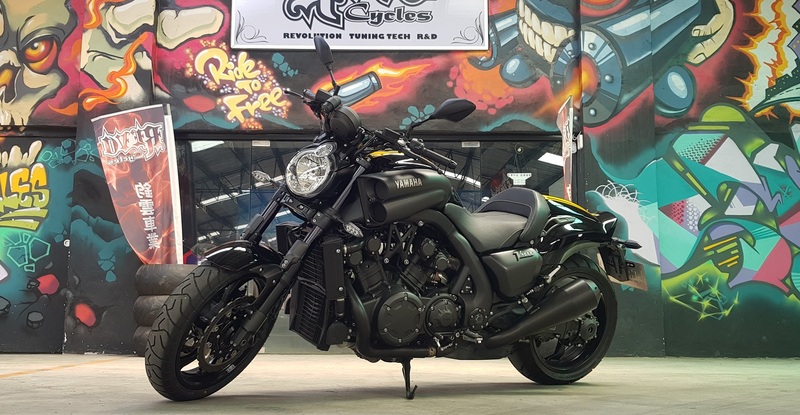 Pay your VMX17 the ultimate compliment with REVO Dual Monster 6″ Slip-On exhaust system. 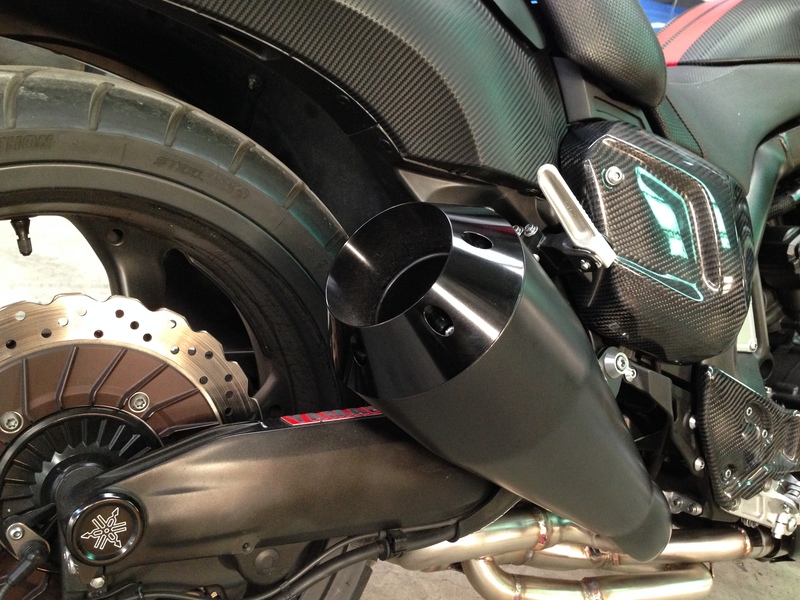 REVO has taken the exhaust design very seriously and offer a great balance between sound and performance. 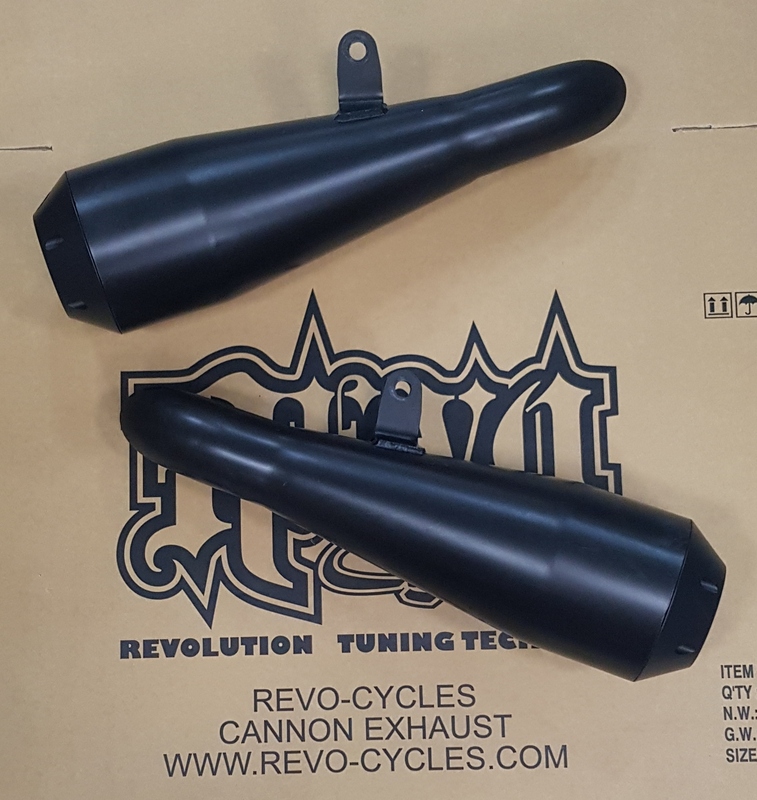 REVO take the experience and great reputation of Monster 6″ for M109R and pass onto the Dual Monster 6″ for VMX17. 30Hz Bass Boost realized. 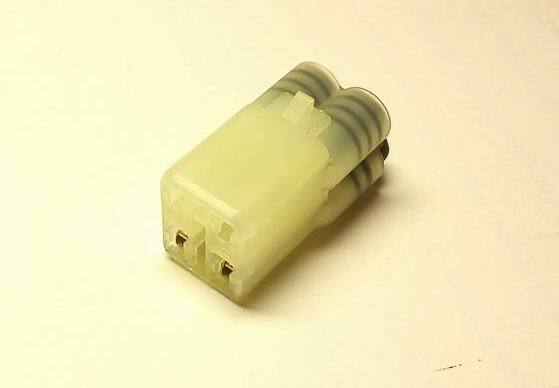 Provides a significant horsepower increase and deep throaty exhaust note. Handmade full steel pipe and drum box inner design for subwoofer. Inner tube drum box technology is incorporated into the company’s biggest and best 6″ muffler. 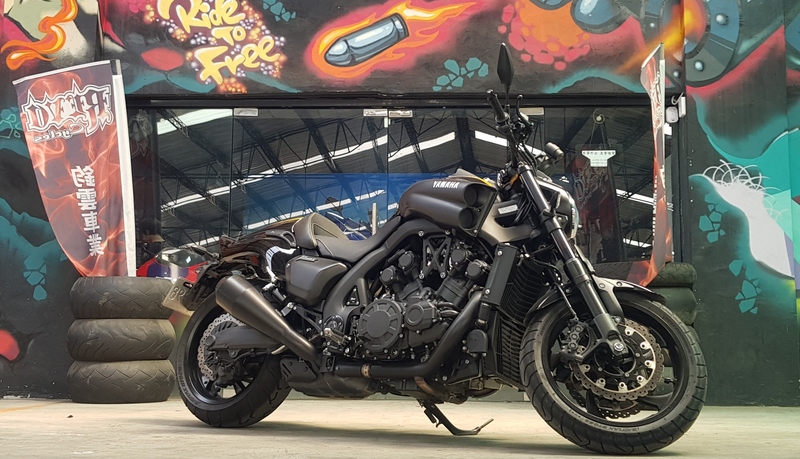 Gain 3-5hp and Gain 2-3kgm, within air intake and fuel management, can be gain 10-15hp, also 6” Dual Monster provide excellent torque throttle respond and perfect street performance setting. you can choose the four-step chrome-plating process or DuPont Teflon muffler to fit your style.